WHEN LEO FRANK was first arrested for the murder of Mary Phagan, his and his defense team’s major focus was placing the blame on Newt Lee, the Black night watchman who discovered the murdered girl’s body. 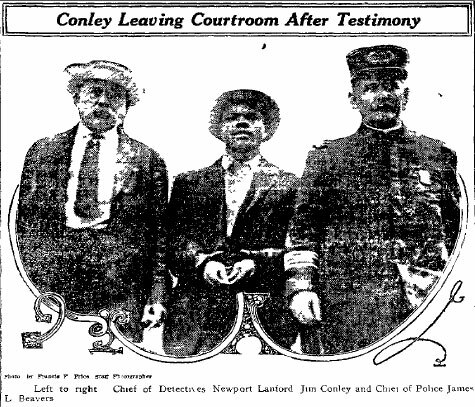 They were so eager to avoid any attention being given to another Black man, Jim Conley, the factory sweeper who later was shown to be Frank’s accessory after the fact — that they totally ignored the sighting of Conley by a witness on the day of the murder. This was a most unusual and revealing omission, since the sighting could have been used by the defense early on to place suspicion on Conley, but they deliberately decided not to do that. This lends considerable credence to the prosecution theory, backed up by Conley’s own testimony, that Conley helped Frank move the body.